﻿To be awarded both the Tes ACL Provider of the Year and also the prestigious Tes Overall Provider of the Year is such a privilege and a great honour. Receiving these awards is public recognition of the vital work we do in adult and community learning supporting some of the most disadvantaged learners in our community, inspiring them to achieve their potential. I am so proud of our outstanding service and what we have all achieved together – our amazing learners, staff and Governors. What a journey we have all been on together and what a celebration of learning on Awards night – it doesn’t get much better than this! Thank you Tes! "It was a great honour and privilege to have been nominated, and reach the final, but to be awarded the first assessor of the year award was awesome. I wish to thank Kimberley Cooper, all the apprenticeship team and Julie Hoult (Business Development team) for their support in delivering apprenticeships. I hope this award highlights the good work that we do with apprentices and their employers and gives encouragement to small, medium and large enterprises to engage in apprenticeships." "I am truly thrilled about the award. This is the best achievement in my career and I would like to thank everyone who have supported me and the Judges. My Principal and Manager are just the best for nominating me , I can’t thank them enough. Teaching is hard work but very rewarding, being recognised like this and receiving this award is just the best feeling ever thank you so much." "We were delighted to be shortlisted for the award and our team representatives enjoyed a great night out at the ceremony. We were even more thrilled to learn that we had won the award. We are very proud of the achievements of our Facilities department and the whole team were delighted to have their work recognised outside of the college in such a prestigious and high profile way." "We were genuinely thrilled to win a TES Award last year. We’ve worked really hard to create and build Hart Learning & Development as a vehicle for our engagement with local, regional and national business clients on emerging talent. To be recognised by our colleagues across the sector for that work was a real boost – which has really helped us to maintain our momentum and continue building Hart L&D since then." "I am very honoured, flattered and amazed to be given the prestigious award for lifetime achievement. I would like to thank the colleagues who nominated me and those who have supported me through my career. It has been a privilege to work with the wonderful and innovative further education institutions in Wales. Further education puts learners first and is central to the successful social and economic performance of Wales"
"We’re humbled to receive this amazing award. Having your efforts recognised brings great satisfaction especially when you are being judged by education experts against other fantastic colleges. The TES Awards evening itself was a truly joyful celebration of excellence in education and then to come to work this morning and congratulate our hardworking staff and students on this achievement has been a delight!" "I've been lucky enough to work at a college with great teams that have won many major accolades and shared excellent inspection success over many years. Winning the TES FE leader was up there with the very top achievements and means so much to me as an ex-FE student, who has worked in FE for over 30 years and been a Principal/CEO since 2004. Winning the award against so many other worthy winners, and with it being presented at such a prestigious event for the FE sector in the UK, made it so special, and literally brought me to tears. Thank you for arranging such a great evening, and thank you to my team and to my Chair of Governors for nominating me"
"It feels wonderful to be recognised by the TES Awards and especially to be the inaugural winners in a new category. The Professional Services Team of the Year Award highlights the work of people who might otherwise go unnoticed despite their huge contribution to the success and wellbeing of learners.  At a national level, the TES Awards do much to promote higher standards in our sector; on a personal level, they highlight the hard work and dedication of our amazing people"
"It was such a privilege seeing all the dedication to FE education around the UK. We were thrilled to be shortlisted... and so to win our category was beyond our dreams. It will be treasured by all our wonderful students and staff - and will be an uplifting message of recognition for our innovation and putting inquisitive minds at the very heart of teaching & learning"
"The TES FE Awards have rapidly established themselves as a landmark event in the education calendar – a fantastic opportunity for us to come together and celebrate everything that is innovative and excellent in this wonderful, diverse sector of ours. That’s why the Education and Training Foundation was delighted to be approached to be headline sponsor of the 2015 Awards, and why I, in particular, was thrilled to be asked to join the judging panel. Since joining the Foundation as chief executive, I’ve been travelling up and down the country, meeting inspiring college principals at the helm of large, complex organisations at the very heart of the local economies they serve, innovative training providers forging new and exciting relationships with employers so as to deliver training that’s bang up to date with industry needs; teachers and trainers striving to deliver innovative, technology-savvy learning to adult career changers and learners with SEND and, of course, the inspiring and engaging learners whose lives and futures we are here to transform. All that remains is for me to wish all of you the best of luck with your award applications! I never cease to be amazed, and inspired, by the dedication and imagination shown by the people who make our sector what it is today – a great place to work, our social and economic lifeblood, and a source of great pride"
"Walsall College were delighted to receive the TES FE Award for ‘Provider of the Year, 2014’, which recognised the hard work and dedication of all staff and Governors, and is a truly great accolade to the College community, its partners, employers and students. It was an honour to receive this national award, as well as a testament to the College’s holistic passion and approach towards high quality teaching, learning and assessment, where both staff and students share a desire to achieve and succeed. Currently, many College staff members actively promote a culture of continuous improvement with the desire to go beyond ‘Outstanding’ teaching, learning and assessment, as well as increasing the life opportunities available for all students. Since receiving the award, many providers from all over the United Kingdom have visited the College and attended our dissemination events; we have been proud to share our good practice with these visitors, in terms of leadership and management, teaching, learning and assessment, quality and improvement, performance management and effective use of learning technologies. To be recognised at a national level has been a privilege and the College would like to thank the Times Education Supplement (TES)"